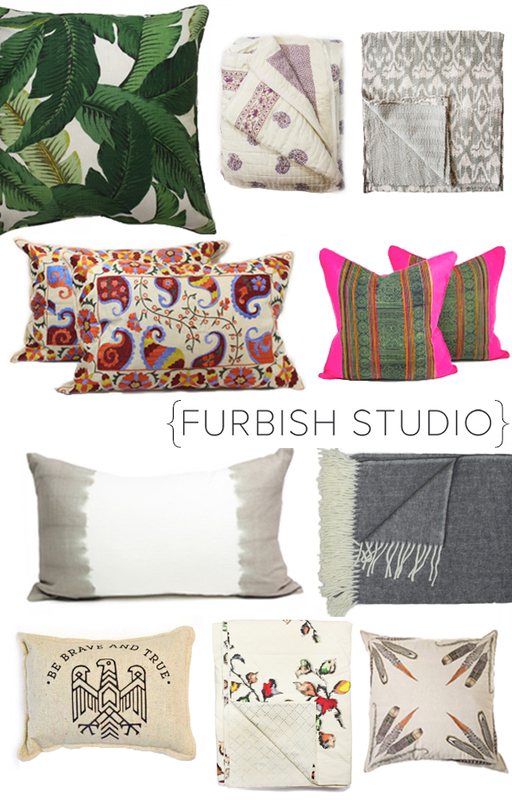 We've been talking with Furbish Studio about switching up our bedding. All of my personal picks are above, and don't you love the idea of mixing prints, throwing in pillows with pops of fun color and a cool quilt to top it off? This will keep things interesting in the most important room of your house. Gorgeous, no? Ah I love your bed, sounds a little wrong to say but it looks so nice, I have to check out the website looks like they have great designs. Super cute! Love getting new bedding.